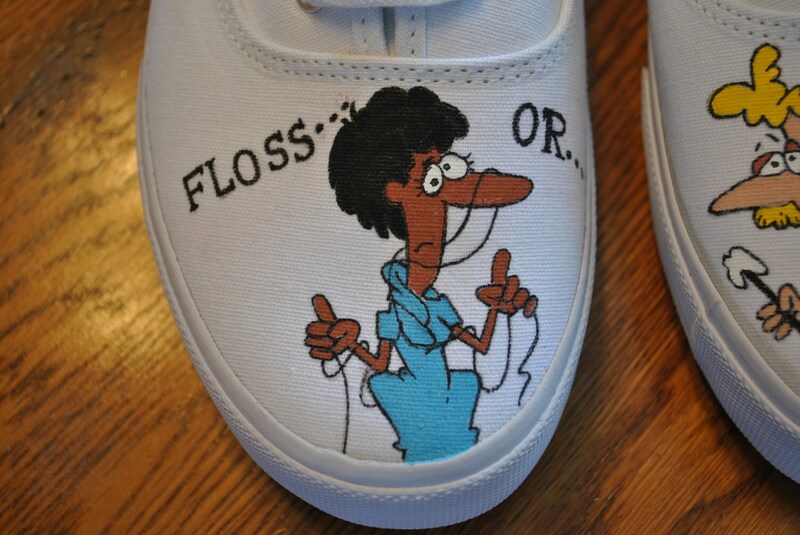 For Sale New Hand Painted Design for Dental Asst. 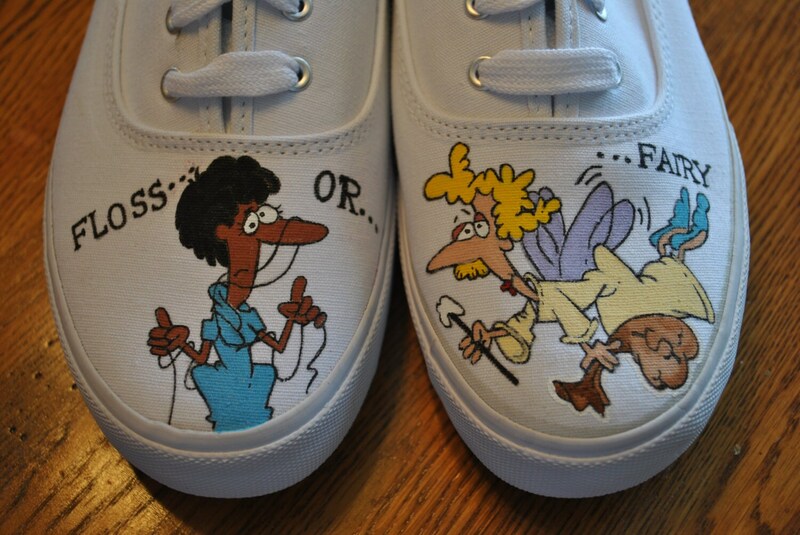 These funny shoes are for you..size 10. A nice pair of white sneakers with buckles. Pls Note I can no longer get these shoes, so we would have to go with another style. 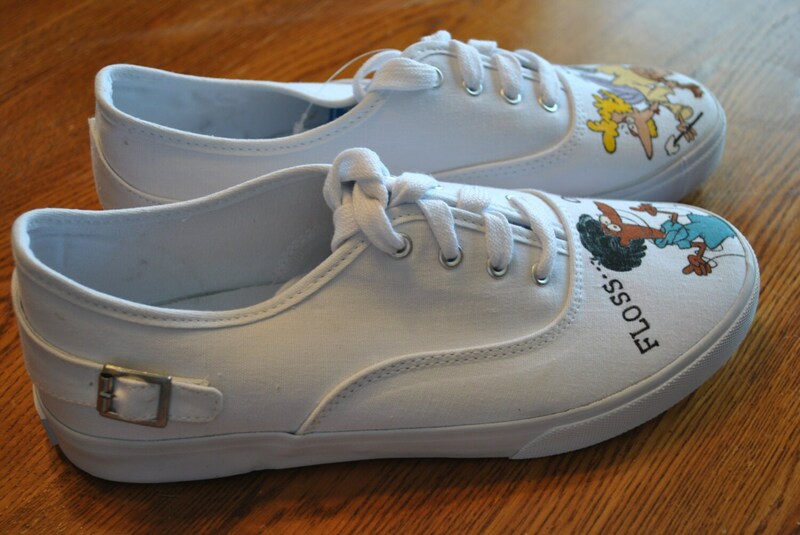 These shoes were a little more expensive that is why the price is higher. 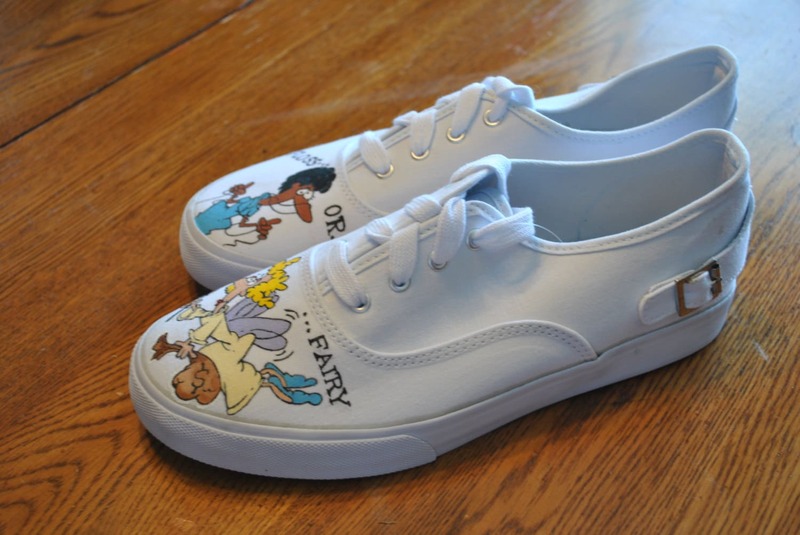 If you would like a custom pair of Hand Painted shoes designed for you or a loved one, just email me with your size and we can work together on your project.